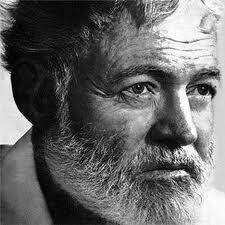 Ernest Miller Hemingway was an American author and journalist. His distinctive writing style, characterized by economy and understatement, influenced 20th-century fiction, as did his life of adventure and public image. He produced most of his work between the mid-1920s and the mid-1950s. He won the Nobel Prize in Literature in 1954. Hemingway's fiction was successful because the characters he presented exhibited authenticity that resonated with his audience. Many of his works are classics of American literature. He published seven novels, six short story collections, and two non-fiction works during his lifetime; a further three novels, four collections of short stories, and three non-fiction works were published posthumously.